Montpelier, VT (June 13, 2017) – CERF+ announces new Artists “Get Ready” Grants to help artists working in craft disciplines safeguard their studios and protect their careers. Up to 10 grants will be awarded on a competitive basis in two grant cycles to eligible artists towards the purchase of goods or services that will have a direct impact on increasing their emergency readiness. 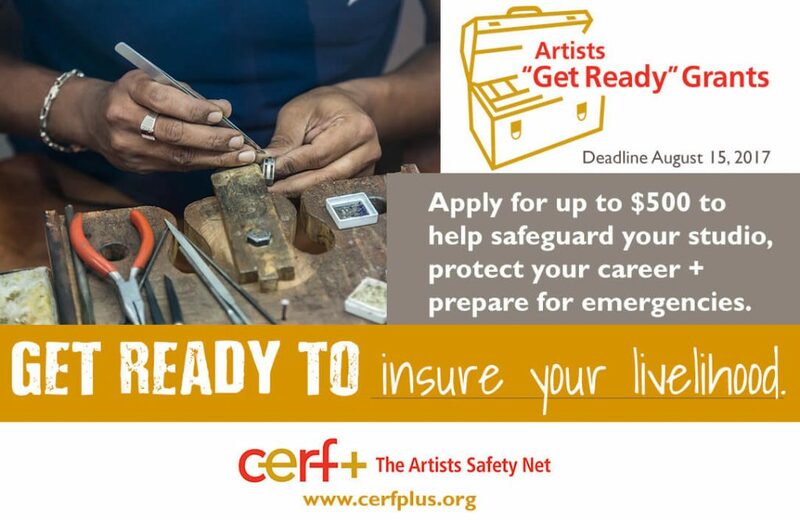 Artists are encouraged to use CERF+’s Risk Assessment to generate ideas and review recommended activities in the Get Ready and Studio Safety sections of the www.cerfplus.org when applying for the Artists “Get Ready” Grant. Eligible activities include: business protection (business insurance, inventory software, business continuity planning, creating secure business record-keeping systems), studio safeguards (safety equipment, improvements to studio health and safety, purchasing safer materials and supplies), emergency/disaster readiness (emergency tools, supplies and equipment, studio upgrades to reduce disaster risk, theft protection measures) and career protection (legacy or estate planning, financial planning services, documentation or digitization of artwork and/or related records, legal counsel, enrolling in a professional development course or workshop). Guidelines and applications for the Artists “Get Ready” Grants, due August 15, 2017, are available at www.cerfplus.org. Applications will be reviewed based on criteria including: the impact that the proposed readiness project will have on the artist’s emergency readiness or career protection and the potential impact of the project to inspire other artists to learn more about emergency readiness and/or career protection measures. CERF+ is the Artists Safety Net. Since 1985, our service network of artists, arts businesses, nonprofits and supporters has pooled knowledge and funds to face career-threatening emergencies together. Readiness resources safeguard and sustain studio artist careers, artwork, workspaces and health. 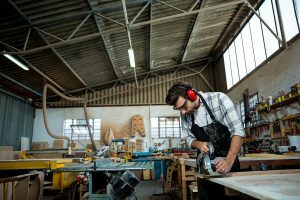 Relief resources help artists get back on their feed after disasters – with emergency funds available for those working in craft disciplines. We believe art is America’s commonwealth – and artists are its most precious asset. We envision a future where all professional artists thrive and are as well protected as the treasures they create.